With the changing of the seasons I thought it would be fun to make some fresh inspirational art. There’s something so springy about limes. I love adding a squeeze or two to my water glass or my meal. As a matter of fact, tonight I made chili for my family and we each squeezed a wedge of lime into our dinner! 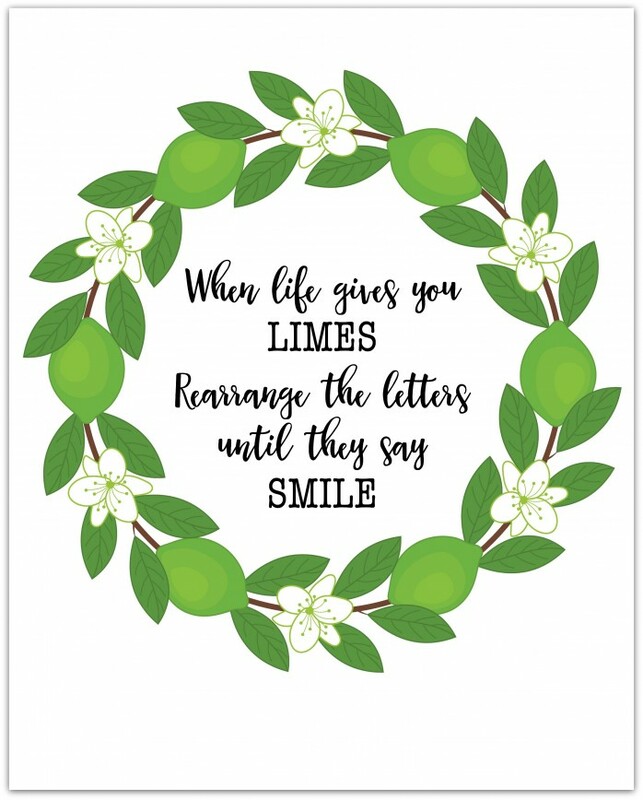 I wanted to celebrate limes and make myself “smile” at the same time. Print and frame (or simply display) this happy saying. 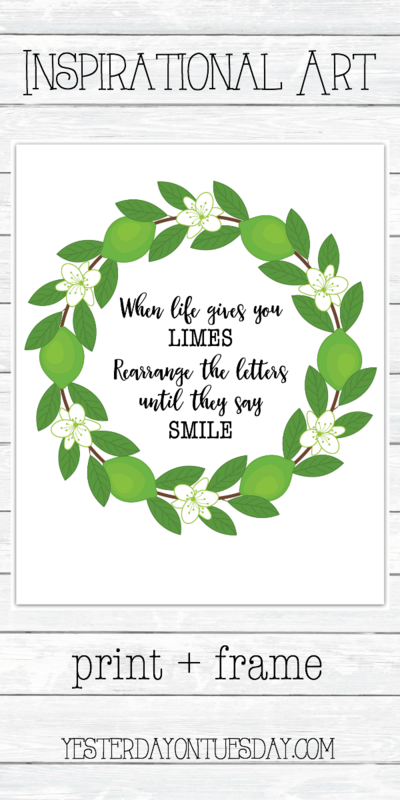 Click on the link: Inspirational Art Printable, save it to your computer and print. 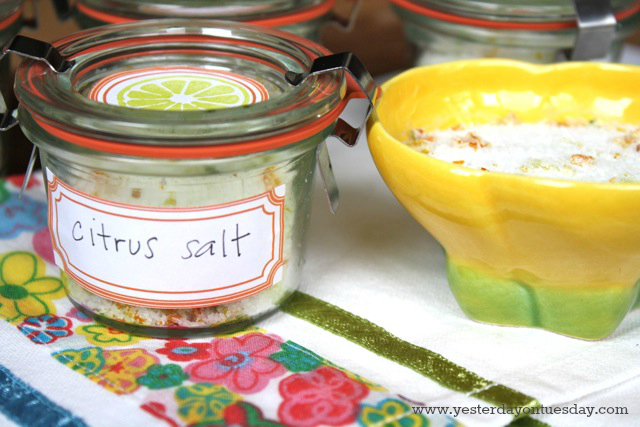 And if you like citrus, you’ll love this DIY Citrus Salt. I modeled it after the Edamame they sell at the Nordstrom Espresso Bars this time of the year. You can get a big plastic cup full of beans plus a small container of citrus salt… it’s so refreshing and delicious! This is so sweet! It needs to be framed and on my wall. Thanks so much for your kind works Johnnie!